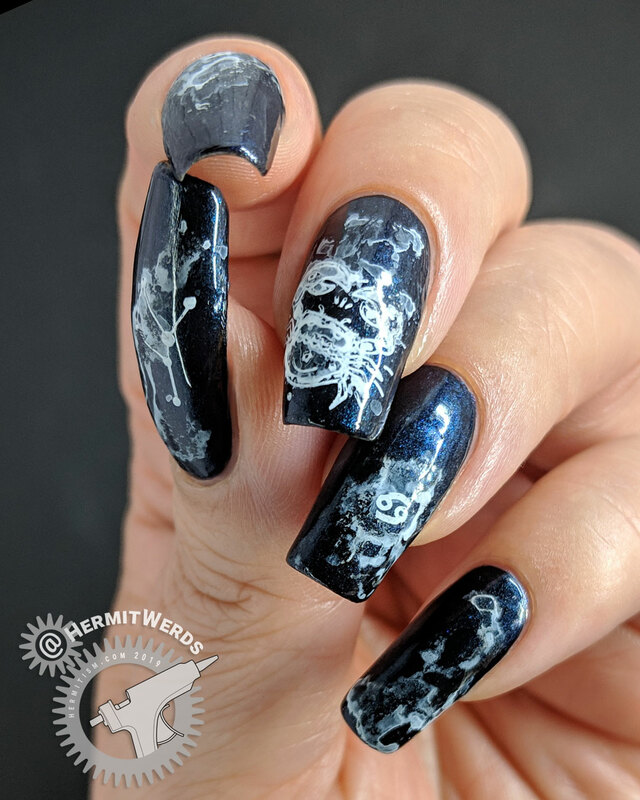 Well, it was inevitable that I would start combining prompts for #GlamNailsChallenge since my nail art-ing time is getting swallowed up with drawing. 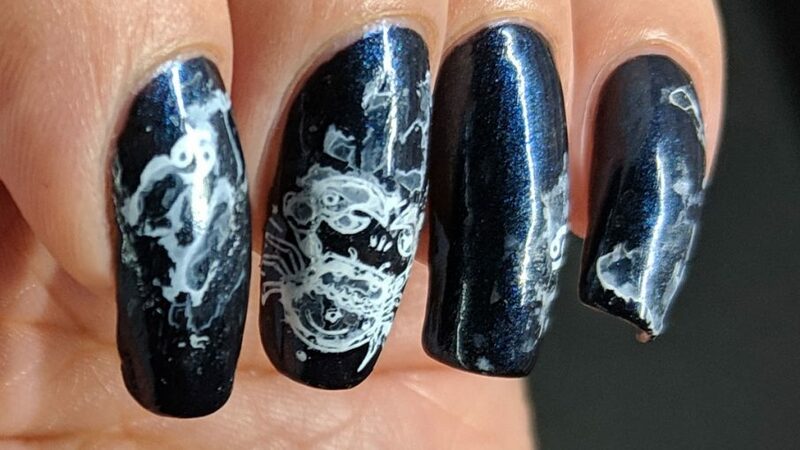 But I think this turned out to be a great combination: Ghost and Astrology. 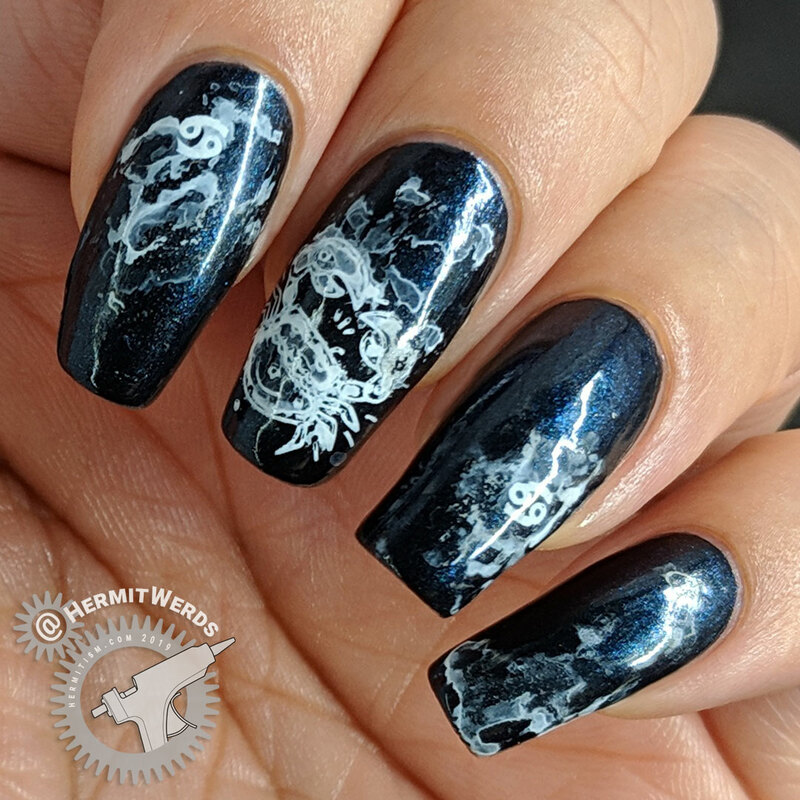 I love the little crabs that symbolize Cancer so I used that along with an acrylic paint technique where you really water down the paint, get it on your nail, then pull off most of the paint before it dries. You end up with a delicate outer rim of white and a soft film of white in the middle. Since this was my first time using the technique, flailing was involved. I kinda swung between not enough water and too much. I still like my results, but I’d have to do this more before I really feel like I could offer much in the way of advice, so I’ll just say one nail at a time and erring on the side of too much water gave better results.